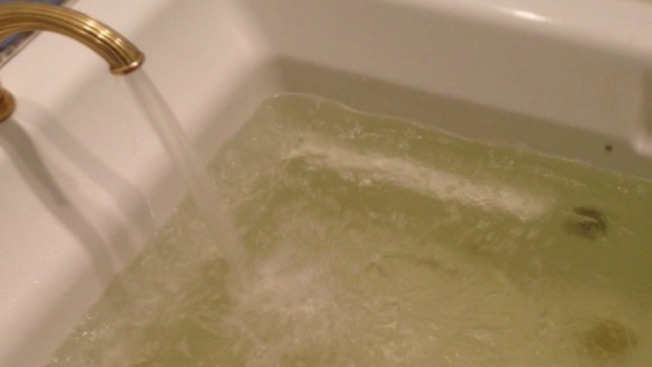 A North Bethesda resident sent this photo of discolored tap water. Residents in Montgomery and Prince George's counties are reporting discolored water in their taps, the Washington Suburban Sanitary Commission (WSSC) said Friday. The WSSC said it doesn't have a reason to believe the discoloration poses a health risk. The sediment causing the discolored water is "not harmful and can be stirred up by sudden changes in water flow," the WSSC said in a news release. However, residents with compromised immune systems should ask a doctor before drinking the water, the WSSC said. A North Bethesda resident sent pictures to News4 and said the problem has occurred intermittently for weeks. The WSSC said it believes the discolored water is a "by-product of the harsh winter," caused by a release of iron deposits in pipes. Water utilities say discolored water can stain clothes, and do not recommend using it for doing laundry. To report discolored water, call WSSC at 301-206-4002 or email EmergencyCallCenter@wsscwater.com.